Everybody looks forward to summer because let’s face it who doesn’t like the suns warmth and the activities that come with high temperatures, pools, rivers, and lakes suddenly become a popular destination for sports and recreation for those who want to beat the heat. Life jackets are a crucial part of water safety, in 2017 Coast Guard Recreational Boating Statistics 78% of the boating accidents that occurred led to drowning and 84% of the victims were not wearing a life jacket. Check the tag inside. Like the clothes we wear life vests have a placard inside that gives you some information about the item. Fitting it on does not cut it in this case, what you are supposed to check is the floating rate in relation to your weight. Make sure it fits. After making sure that the vest is within your weight range wear it and ensure it fits well, not too tight but comfortable. Have a person help you in this part, with your hands to your side ask them to place their arms underneath the vests shoulders and pull straight up if it lifts and slips through your chin then its loose. The jackets are supposed to stay on the body even in the event of a strong tide. Make sure it is adjustable. Most jackets have laces or buckle on either side these help in tightening or loosening to avoid them from slipping and also ensuring that the person wearing them can adjust to suit their comfort. Check the pressure levels. If you use the self-inflating jacket, regularly check the carbon dioxide levels and compare its weight with the manufactures to make sure it is up to standard. Go for bright colors. Colors like luminous green, orange and yellow are easily visible and would give the rescue team an easier time to identify in case of an emergency. When injured in the water. Sometimes while in the water accidents occur like being injured by submerged objects or rocks, in such instances individuals might find it hard to swim properly and life jackets will help you stay afloat till you get help. In a rough tide. Tides have been known to sweep people off the shores or the safe areas, in most severe instances victims can be knocked unconscious in which case they cannot help themselves. In freezing water. 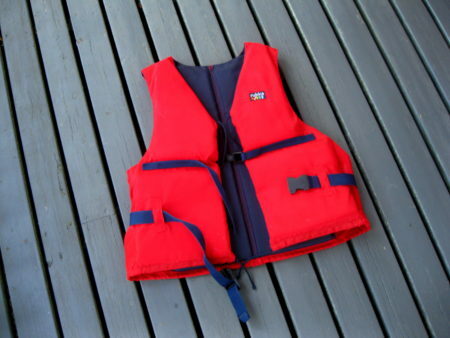 Life jackets also help you keep warm when tossed into freezing or water with extremely low temperatures. Another key point that most people ignore is life jackets do have an expiry date check to see that the jacket is still in its right condition. Also as a measure of safety, if it’s been a while before using your life jacket test it out first before going on a boating trip or swimming. Testing is done by wearing the jacket in calm or restrained water conditions.